Macy’s is intending to build their New York headquarters with non-union contractors that often pay workers up to 80% less in wages and benefits than union contractors signed to contracts with the District Council of Carpenters. 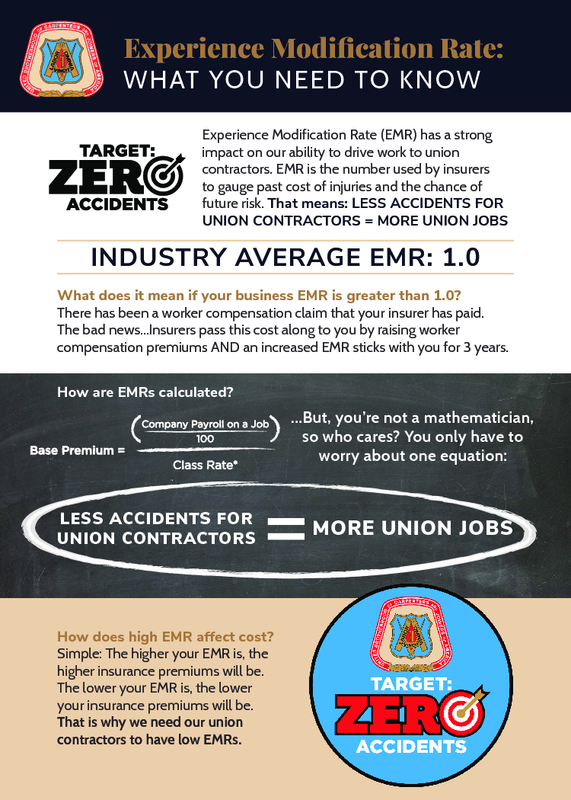 Besides this sub-standard pay, workers will not have the protection of the union to prevent wage theft. There is also the real possibility that workers won’t receive healthcare and retirement benefits in exchange for backbreaking work. Use #Macyssucks to tell your friends and family that you stand against corporate greed. Be sure to visit out campaign website www.MacysSucks.org to find out how you can help! Below are links to download Yelp and Google Reviews for your devices to post negative reviews and give Macy’s a piece of your mind! Please post as many reviews as possible and share this with friends, family, and other members! To post a review on Google you must have Google Maps installed on your device! Click the link below to install it. To post a review on Yelp you must have Yelp installed on your device! Click the link below to install it. 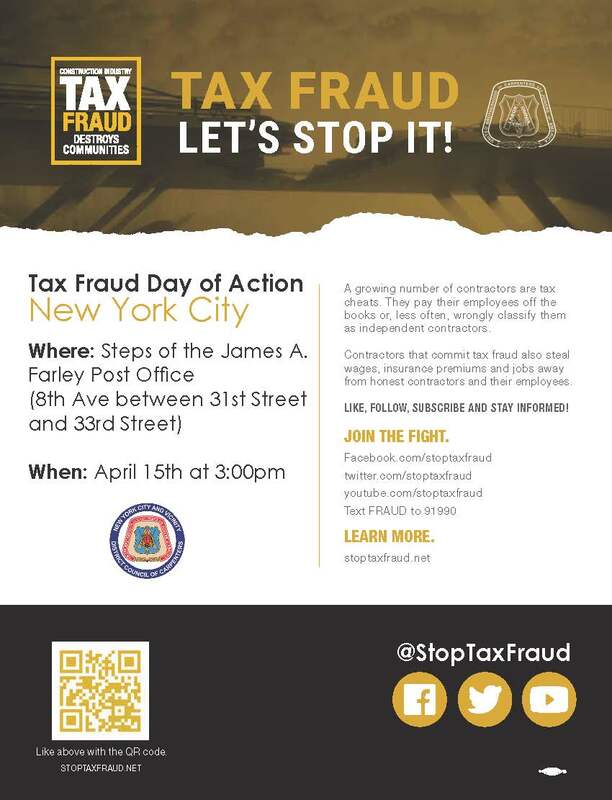 Join us on April 15 on the steps of the James A. Farley Post Office for the Tax Fraud Day of Action! 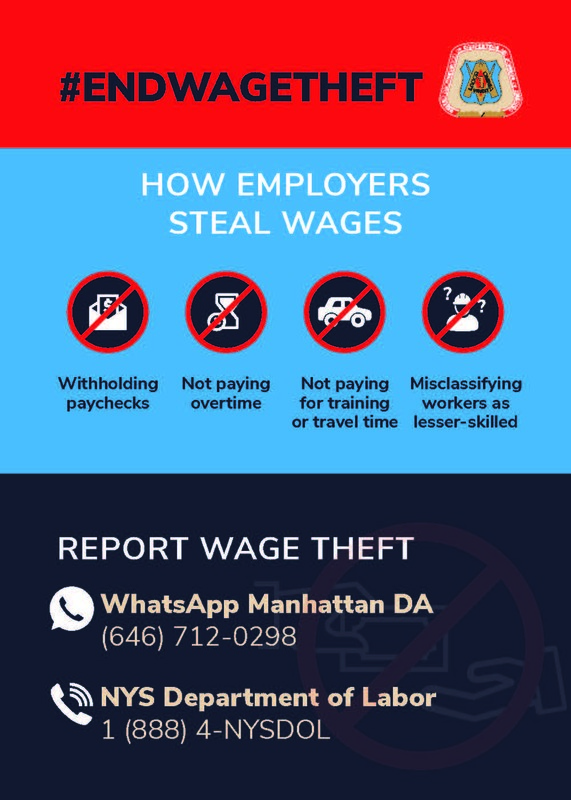 Tax fraud in the construction industry IMPACTS ALL NEW YORKERS and the STOP TAX FRAUD campaign is here to say that New Yorkers won’t stand for irresponsible construction contractors who operate by stealing wages and not paying their fair share of taxes. 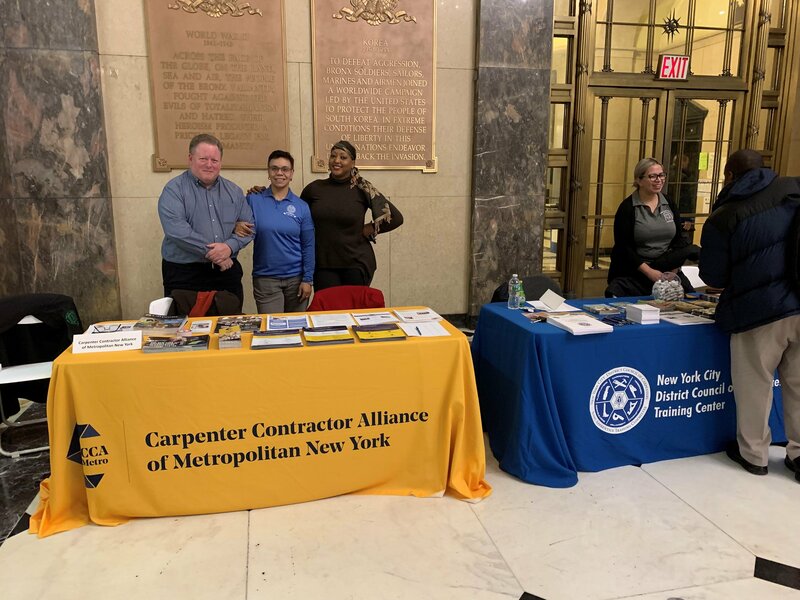 CCA Metro and Building Works participated in the construction trades job fair in the Bronx discussing how we prioritize safety, quality healthcare, retirement security, and a stable income! 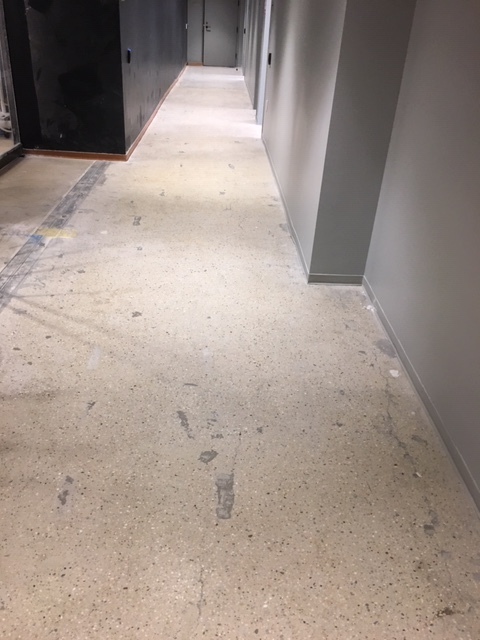 Consolidated Carpet performed concrete polishing at 390 Madison Ave. under the JPMC PLA. 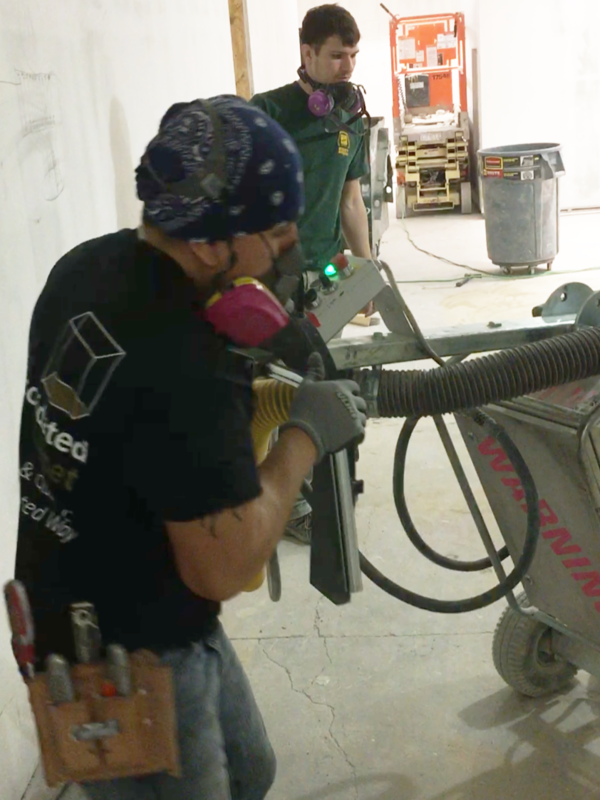 Four of the six NYCDCC employees have extensive experience in the field of polishing. Holger Saca has over 5 years in the trade before coming on board with Consolidated Carpet. Jaime Farez and Diego Once both have 4 years in the trade. Christyan Soares has 3 years in the trade, and both Michael Casarona and Jeff Rodriguez are second-year apprentices. All six employees are members of Local 2287. 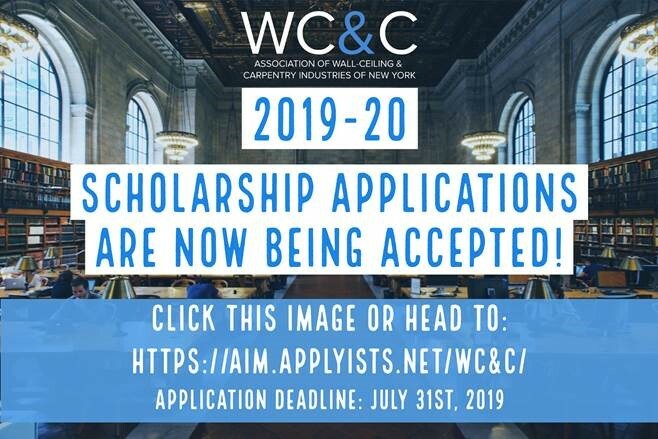 WC&C would like to announce that our 2019-20 scholarship program is now accepting applications.To be considered please head to https://aim.applyists.net/wc&c to apply. If you are having issues locating the scholarship on the ISTS website, click on “add new application.” The program key is “WC&C” and will bring you directly to our application page. You will need to register for an ISTS account (free of charge) to apply if you do not already have one. 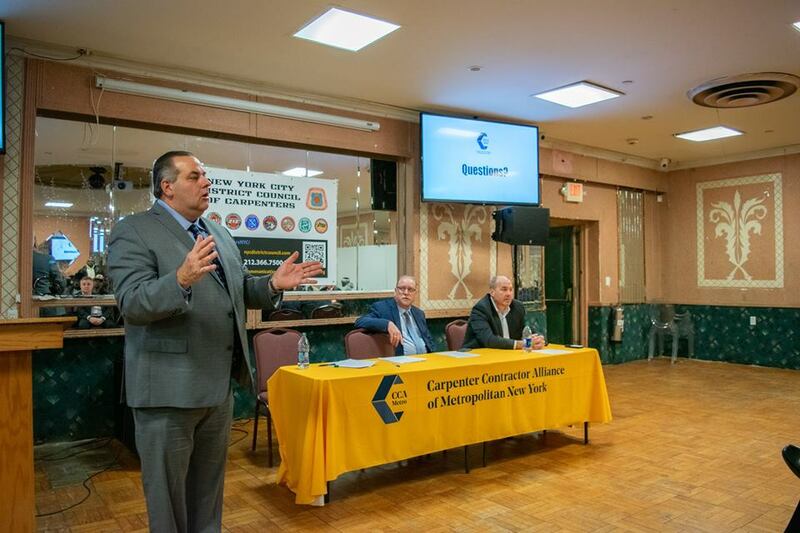 The NYC District Council of Carpenters and CCA Metro held an East Brooklyn Membership Town Hall on February 28th to discuss how we can better access construction work in East Brooklyn, the new outreach plan we are conducting, and how members can get involved in their community to get more work in their backyard. 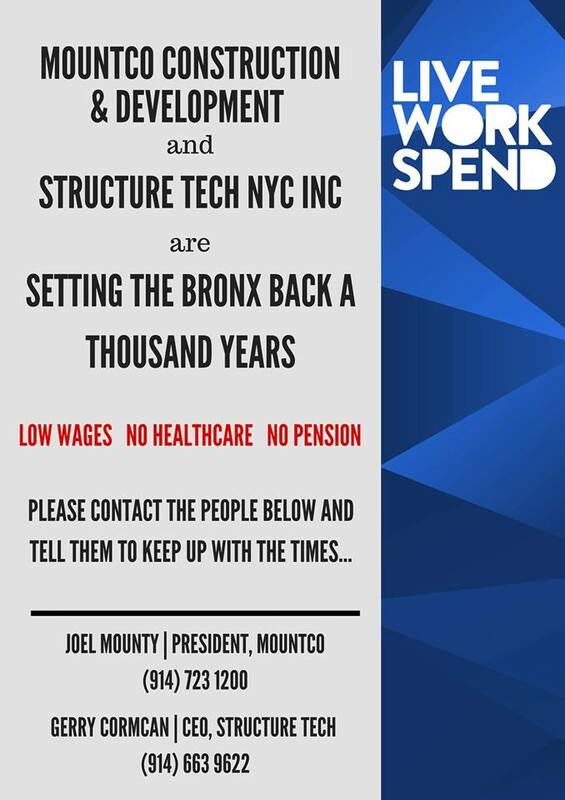 LiveWorkSpend is a campaign from the New York City District Council of Carpenters to help bring good area standard construction jobs to local residents throughout the five boroughs. Keep checking back at liveworkspend.com for updated information and action items. 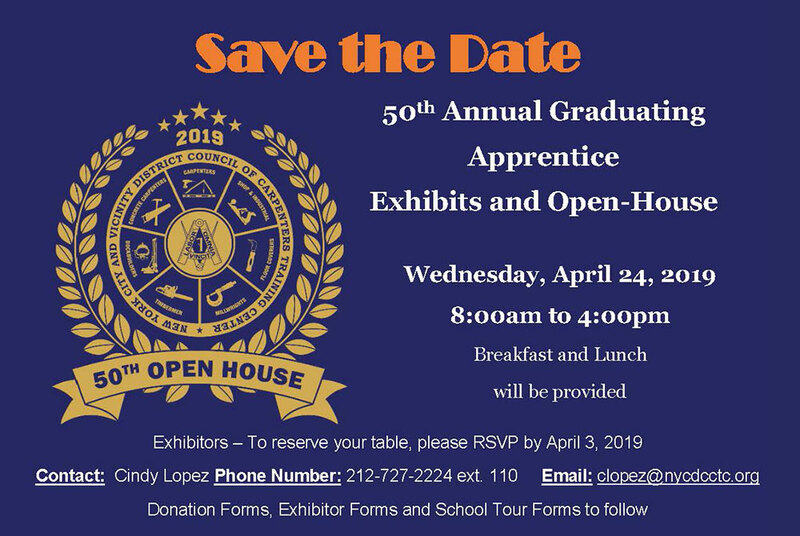 Kindly be advised as per information obtained from the New York City Department of Buildings pertaining to Local Law 196 we are recommending all members who have not graduated from an approved NYSDOL Apprenticeship Program within the past 5 years seeking a Limited Site Safety Training Card to complete an OSHA 30-hour safety training course. 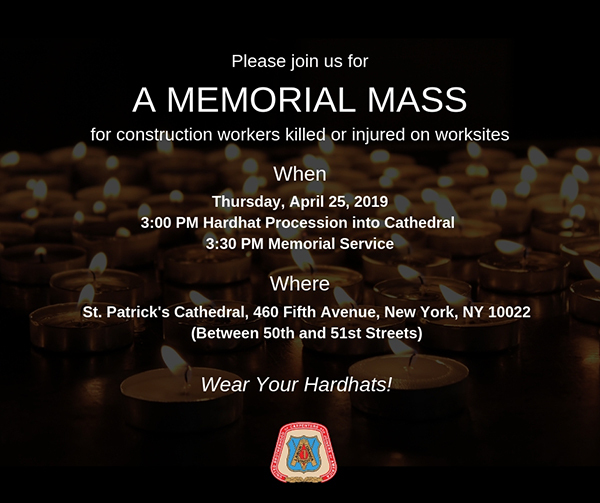 A limited site safety card WILL be required to work on construction sites in NYC starting June 1st 2019. Members may enroll for OSHA 30 at the Carpenters Training Center. 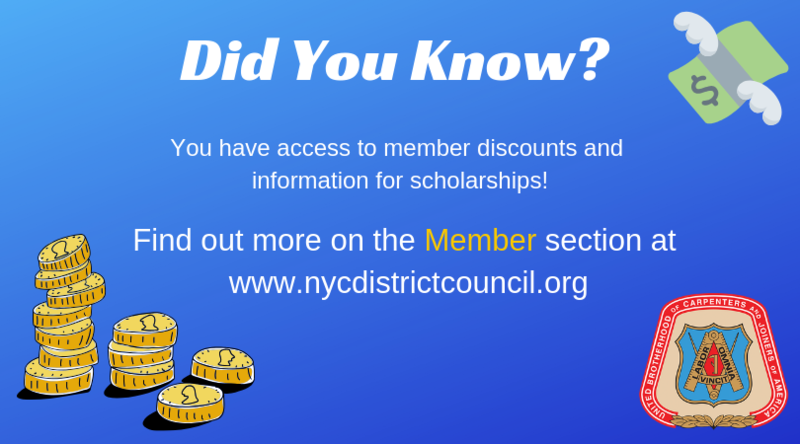 To confirm your certification or schedule a class contact the NYC District Council of Carpenters Training Center at 212-727-2224. Taking place June 6-9, 2019, at the UBC International Training Center in Las Vegas, Nevada, the 300 Hitters program is designed to give our journeymen a broader understanding of our union, the construction industry, and our role in shaping the future in the years ahead. During the program journeyman learn about the history of the UBC and the labor movement, participate in communications and public speaking workshops, learn valuable coaching and mentoring skills, meet with General President Douglas McCarron, participate in a Q&A with senior leadership from our council, and are asked to share their vision for the future of our union. The MEND Program (Members Education and Network for Dependency) holds monthly Peer Support Group meetings for NYCDCC Welfare Funds participants/dependents who are in both long and short term recovery, and wish to share their experiences, sources of strength, inspirations, and hopes for the future with fellow group members in attendance. These meetings take place in the MEND Office on the 5th Floor of 395 Hudson Street. The next scheduled meeting is: Wednesday, March 27th, 4PM. The April meeting is scheduled for April 24th at 4PM. MEND meetings may be subject to change. Please contact the MEND Program at (212) 366-7590 or MEND@nyccbf.org to confirm meeting dates. Failing to report a divorce while you have a spouse listed as a dependent under the NYCDCC Welfare Fund (the “Fund”) is a form of fraud and may result in grave financial repercussions and the loss of your health coverage. This is especially true if your former spouse receives costly medical treatments after he/she is no longer eligible for coverage. Please read this explanation of the Fund’s rules and an example of how failing to follow these rules may impact you financially. A new feature has been released on Union Fusion! There is a mobile-view accessible for all users on their phones and tablets. On the upper-right hand corner, there is an option to “turn on mobile view.” The NYC District Council is committed to making changes that will allow users to easily access their hours for viewing/reporting functions. Union Fusion is a web portal and management system that improves workflow and communications between members and the District Council’s system. 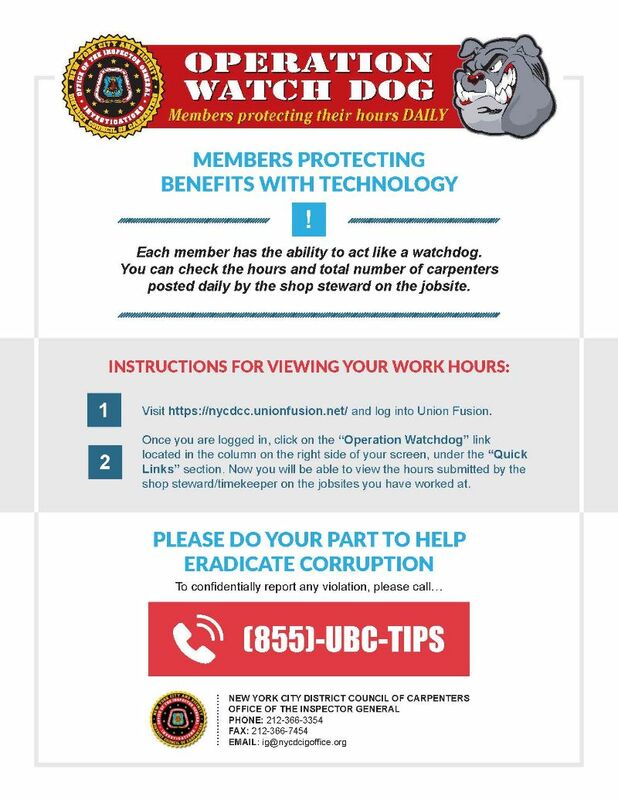 Log in to Union Fusion at https://nycdcc.unionfusion.net. 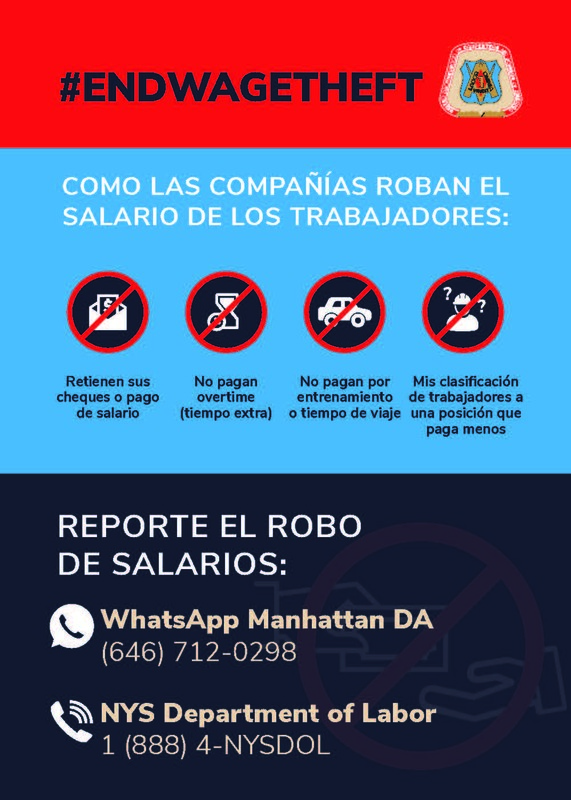 For assistance, please feel free to contact the Reporting hotline, 212-366-3331. Next Post Join Us! 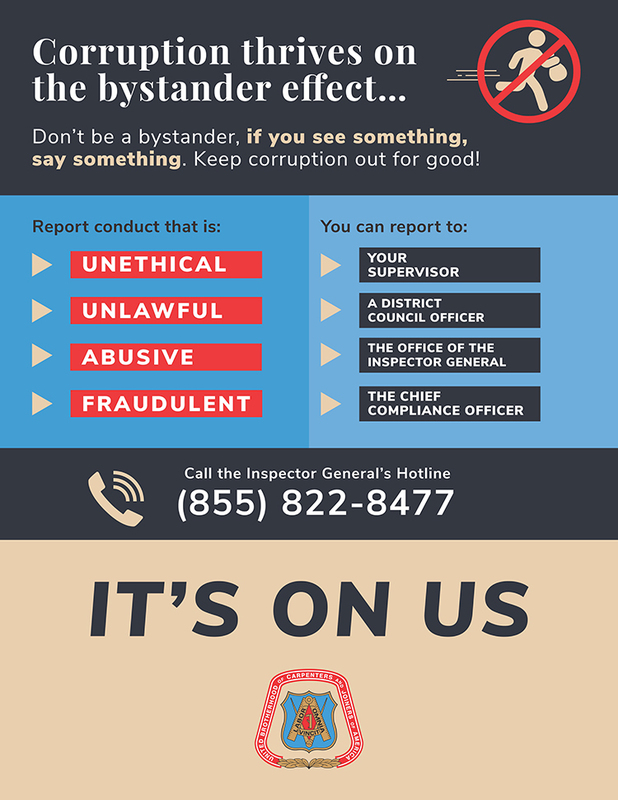 April 15th - Tax Fraud Day of Action!